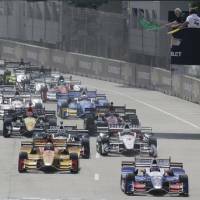 DETROIT - A week after his career-defining Indianapolis 500 win, Takuma Sato was back in the upper reaches of the IndyCar pack in Detroit, finishing fourth in the weekend’s second race on Sunday. With his near-podium finish, and an eighth place in Saturday’s race, Sato maintained his spot in third place in the driver’s title chase and ended the weekend closer to the championship lead held by Kiwi Scott Dixon. Graham Rahal won Sunday’s race, with Josef Newgarden in second and Will Power third. Sato started in pole position in his Andretti Autosport Honda, but could not match the pace or strategy of the top three around the road course circuit in Michigan. 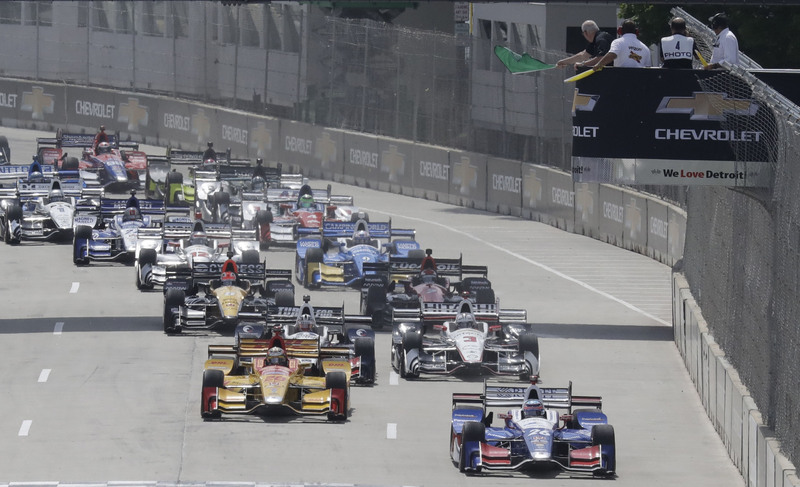 After leading from the start at the Belle Isle Park raceway, Sato maintained his position until the first round of pit stops when Rahal jumped him by going two laps longer in his first stint and emerging back onto the track with a 4-second gap to second. On his next visit to the pits Sato again dropped places, this time to Power and Newgarden, the latter whose three-stop pit strategy gave him track position. Over the final stages Sato was able to hold off a challenge by Simon Pagenaud and Dixon to maintain fourth position. Rahal, who also won Saturday’s race, became the first to sweep in Detroit since it began hosting doubleheaders in 2013. The victories made Rahal IndyCar’s first two-time winner this season and the first to win two races in a weekend since Dixon pulled it off four years ago in Toronto. The Rahal Letterman Lanigan Racing driver pulled away for the victory on Sunday after a single-file final restart with two laps to go in the 70-lap race on the Belle Isle course. On Saturday, Rahal, from New Albany, Ohio, became the first American to win in Detroit since Michael Andretti in 1996. He has six career victories, five in two-plus seasons. A red flag stopped the race for 18 minutes after 67 laps because Spencer Pigot’s car had a mechanical failure. The Ed Carpenter Racing driver got out of his smoke-filled car after a yellow flag came out because James Hinchcliffe’s car stalled.